Spanish conquistador Álvar Nuñez Cabeza de Vaca, one of four survivors of the ship-wrecked, 300-men Panfilo de Narvaez expedition, returns to Spain and writes “La Relación” (The Account), a book describing his eight-year, on-foot journey across North America - from Tampa, Florida to Mexico City. Although it is written in Spanish and published in Spain, it is really "the first American history book," covering life in North America from 1528 to 1536. 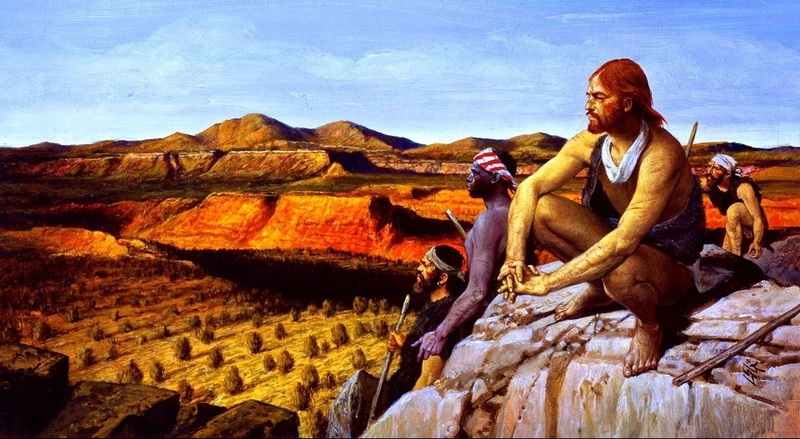 In "La Relación," Cabeza de Vaca describes how he and his companions trekked on-foot across a huge portion of the recently discovered North American territory, and how they endured hunger, slavery and all kinds of other hardships. 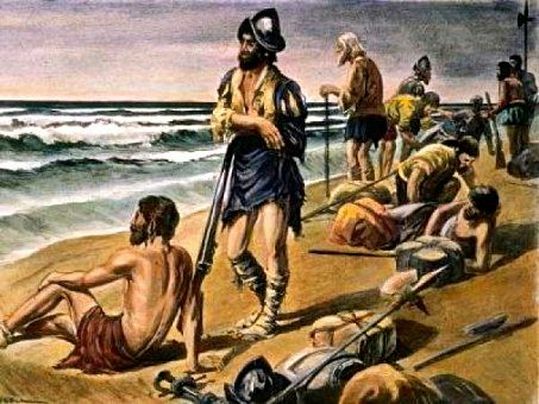 Although most of his shipmates died along the way, Cabeza de Vaca and the other three Spanish sailors - Andres Dornate, Alfonso Castillo and a slave known as Estevanico - had to succumb to much pain and humiliation in order to survive living among many different groups of Native Americans. 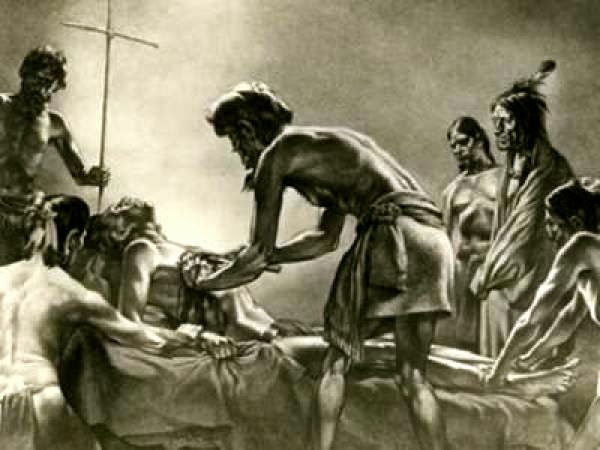 They became slaves, traders, preachers and even healers! 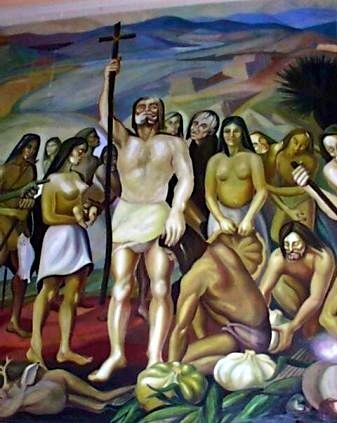 Eventually, Cabeza de Vaca and his three surviving companions make it all the way to Mexico City, where they rejoin Spanish forces. 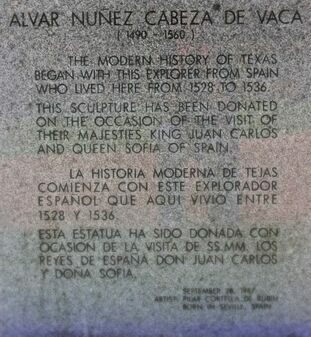 The other three survivors remain in New Spain. Estevanico then goes on another expedition and gets killed by natives. 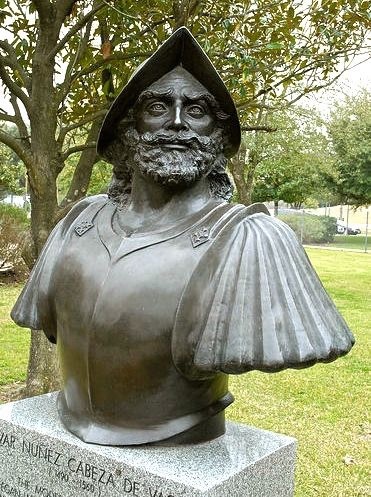 But Cabeza de Vaca goes back to Spain and writes a book that becomes very sensational in Europe, inspiring many other explorers to seek fame and fortune in North America. His book serves as one of the first warnings of the terrible European diseases that kill many Native Americans. “Half the natives die from disease of the bowels and blamed us,” he writes. The book is also one of the first Spanish essays calling for tolerant and compassionate treatment of the natives of the Americas. 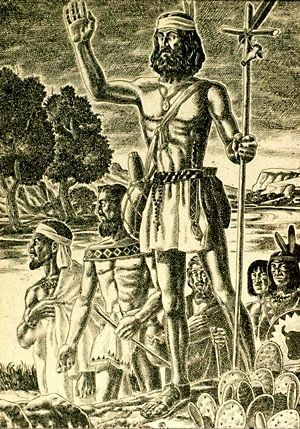 Because he knows the turf and the Native American languages and cultures, Cabeza de Vaca feels he is best qualified to lead another expedition in North America. 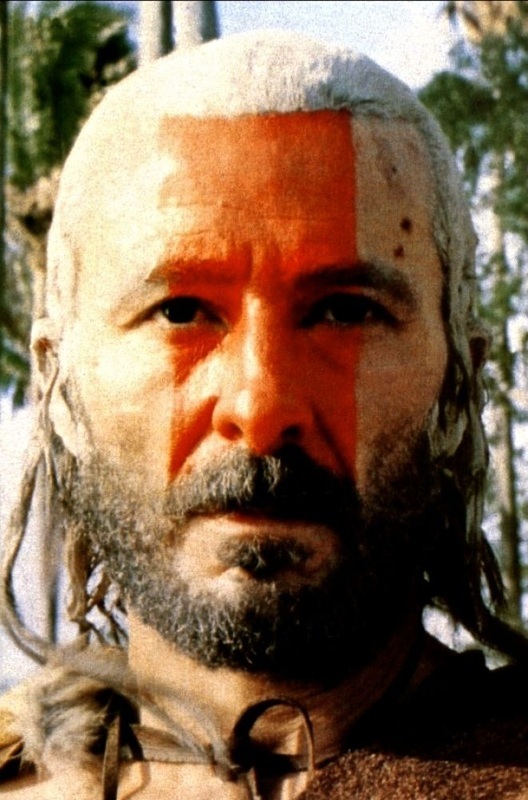 Deeply religious and humanitarian, he feels he can convert Native Americans to Christianity by peaceful means. But back in Spain, he is too late in making his request. Command of such an expedition - again starting from the Tampa Bay area - has already been assigned to Hernando de Soto. 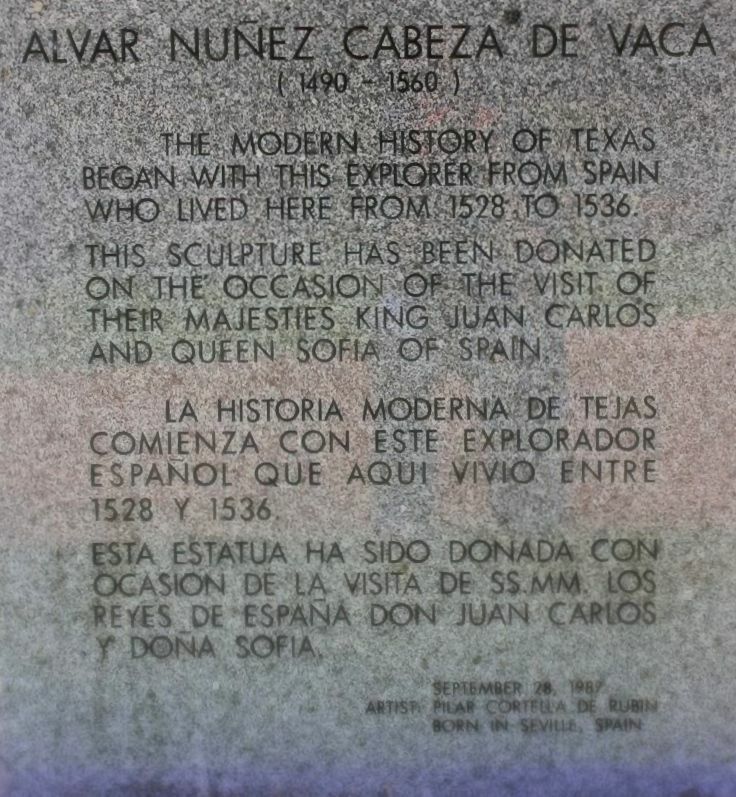 Recognizing Cabeza de Vaca's valuable experience, De Soto asks him join the expedition. 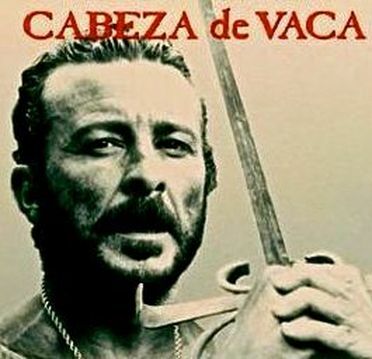 But Cabeza de Vaca wants his own command - he wants to lead a friendly, humane mission - and rejects the offer. 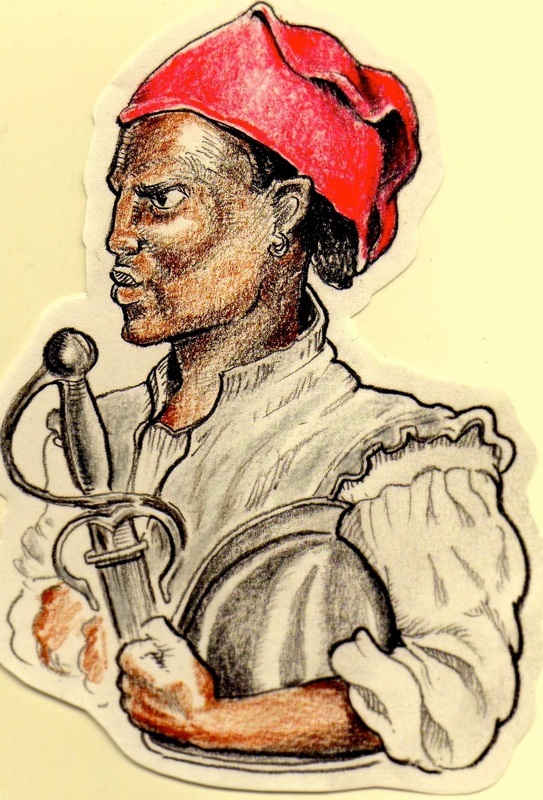 And so he spends the next two years writing "La Relación," which is first published in 1542 in Zamora, Spain and later republished in several languages. 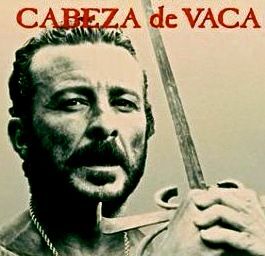 ​Yet by the time the book is being sold in Europe, Cabeza de Vaca is finally leading his own expedition - in South America! Spanish King Charles V sends him to take over as governor of the Rio de Plata region. 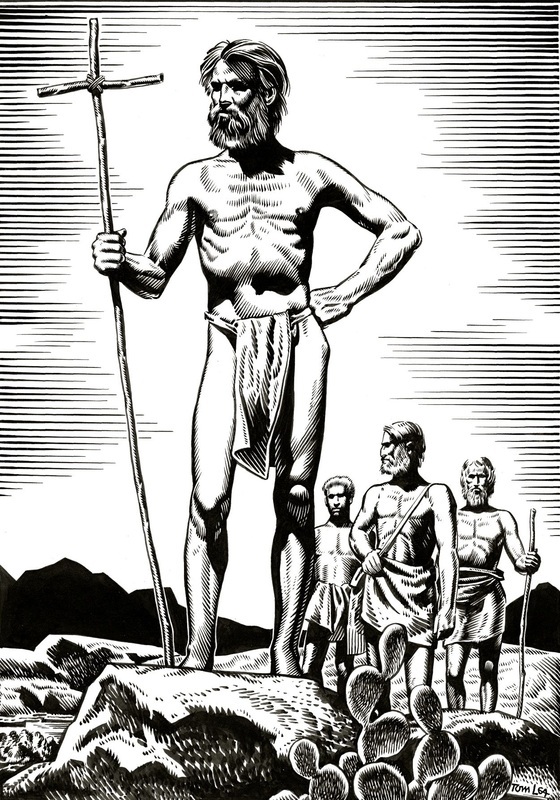 On his way there, deciding to take an overland route across the southern tip of South America instead of the traditional sea route, he leads the first Europeans to see the "largest-in-the-word" Iguazú Falls that now serve as the border between Brazil and Argentina. 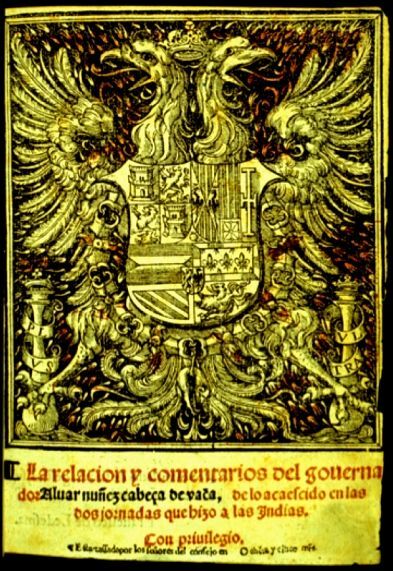 Back in Spain in 1555, he publishes a revised edition of “La Relación,” including his experiences in South America. 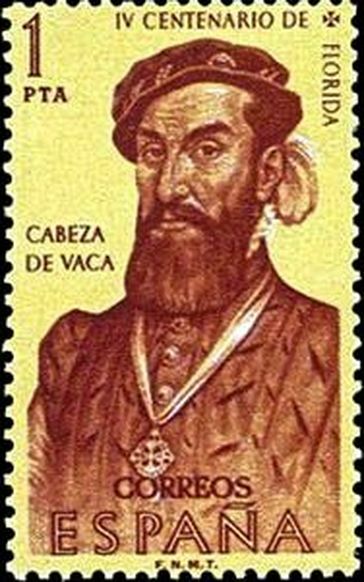 Cabeza de Vaca's book unlocks a new frontier of opportunities for European explorers and adventurers. His "first American history book" serves as a guide for future Americans. ​To enlarge these images, click on them!